You don’t just invest your money in purchasing a house, you invest your dreams and hopes. 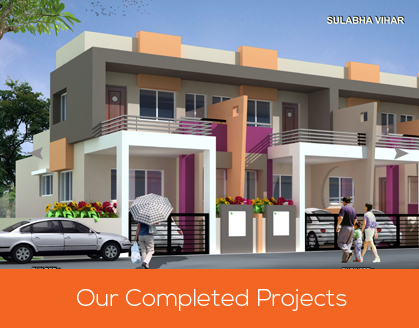 We, at Shri Kubera Developers value your hopes as dear as our own. Being an upcoming town with tremendous growth potential on account of its strategic location along three national highways, Dhule has been attracting a lot of attention. Dhule is one of the very few planned cities of India. Dhule is also a part of Delhi Mumbai Industrial Corridor Project, India's most ambitious infrastructure program. This envisages Dhule as a new industrial hub and also as a 'Smart City'. It is undeniably a futuristic city with unparalleled growth and employment opportunities which is at a takeoff point and investment in the city would definitely be very rewarding in the years to come. Dhule enjoys this edge on account of its already planned city outlay and being a heritage education hub of the area. Its location along the major industrial corridors and presence of big names like Suzlon Energies among many industrial giants augurs well for its future urban sprawl bringing ample employment opportunities. We, at Shri Kubera Developers wish to make our contribution in bringing the comfort and quality lifestyle of big hubs like Mumbai and Pune to Dhule. Led by this vision under the aegis of our Director Shri Devidas Sitaram Kuwar who is armed with more than 30 years of experience in the same field as a Civil Engineer with the government. We strive to serve our customers with our unmatched expertise in area of housing and construction. We make this possible with a team of experts who possess expertise in their respective areas, who work together to make your dream of a ‘dream house’ come true. We cater to all segments ranging from economy housing to luxury living. We, at Shri Kubera Developers believe that dreams are made possible through technical and managerial expertise and not merely by a vision. All our projects are commenced only after through research under the aegis of our partner and Director Shri Mahesh Devidas Kuwar, who specializes in site selection and construction. Without adequate qualifications any vision would simply be just another vision. Our directors not only have a vision but also possess the requisite technical and managerial expertise and experience. Helped by these factors we strive to make your dream of a dream home see light of the day and also be well within your budget without any loss of quality.